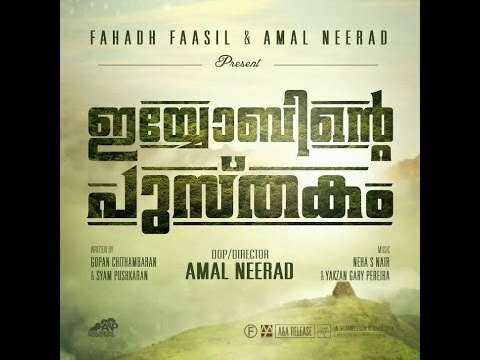 Plot : Iyobinte Pustakam is an upcoming Malayalam period thriller film directed, filmed and co-produced by Amal Neerad. It stars Fahadh Faasil, Isha Sharvani, Lal, Jayasurya, Padmapriya, Reenu Mathews and Lena. Fahadh Faasil co-produces the film along with Neerad, which was scripted by debutant Gopan Chidambaram. Filming began in March 2014 in Vagamon.